He said “I didn’t lose my wife, I knew right where she was- at my neighbors house! She left me because I wouldn’t stop drinking or acting a fool. I can’t blame her! I didn’t lose my house. It’s right where it’s always been. I didn’t lose my job, or my self-respect, or anything else. I was such a willing slave to my addiction that I’d trade anything it demanded. 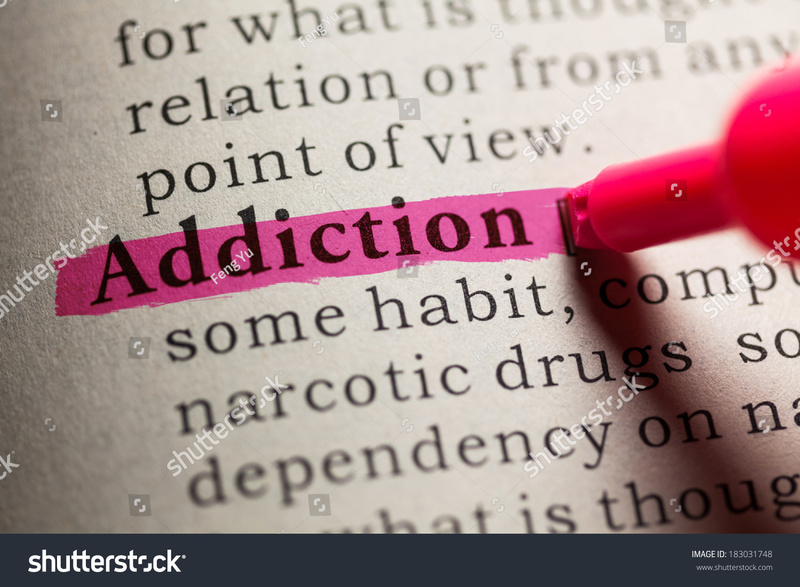 My first and only concern was keeping the addiction satisfied, so when spouses, jobs, dignity, self-respect…got in the way of my addiction, I did whatever it took to keep reality from sneaking up on me. As I began to get sober and worked (WORKED) on changing my perceptions, slowly these people and things were returned. So, listen when you hear someone (or yourself) taking about how many things the addiction took from them, I hope you’ll remember this truth. We never lost or misplaced the things that make life sweet: we traded them for the drink or the drug. I am in control of what I keep today, and I’m not willing to give the good life away. Why is this not a thing??! Ok, so I was at the store getting some milk, and I noticed a man riding one of those electric scooters that stores sometimes provide for disabled folks. That’s when it hit me: why don’t LIQUOR STORES have those little electric scooters?? How fun would that be?! They’d probably want a protective railing of some kind to protect the pretty glass bottles, but, just think of it!! I mean, I always drove better than I walked, didn’t you?! I wasn’t sure I should share this BRILLIANT idea with the interweb, cos you know, somebody will probably steal it. But then I figured, like so many of my other million-dollar ideas, some jerk logical thinker would shoot it down and make it look like a not-great idea. So, screw it. If you want to implement this STROKE OF FREAKIN GENIUS idea, just send me a picture of it, k? That would be thanks enough for me. I really tied one on last weekend! I don’t even remember how I got home! I was either in bed or the bathroom all day Sunday, and I only made it to work for half a day, Monday! Whew. I can’t wait till Friday night; me & my friends are gonna hit this new place downtown! Does that sound familiar? I’m positive I’ve said all that before, and didn’t have an inkling that it wasn’t normal. I thought EVERYONE did that. Now, I’ve heard in hundreds of (12-step) meetings that you’re not an alcoholic unless you say you are. Is that true? If it walks like a duck; if it talks like a duck; if it poops through feathers…it’s probably a duck. That being said, in the alcohol abuser/alcoholics’ mind: If it’s not a problem, it’s not a problem. The thing that keeps most alcoholics/addicts from getting clean and/or sober is the fact that, in their mind, they don’t have to. You can talk, yell, cry, or ignore someone whose drinking seems to be excessive, in hopes that they will decide to “get it under control”. More often than not, there won’t be any discernible change, regardless of how gently, harshly, or frequently the problem is brought to light. Wanna guess which one was Yours Truly? Sometimes, an alcoholic (or addict) will get a “Judicial Scholarship” requiring them to attend x number of 12-step meetings, or check into a treatment center, in hopes that they might hear something…and occasionally, it works. Sometimes, after a few DUIs, a few mandatory stays in a treatment facility, and/or some jail time, Sobriety begins to become attractive. More often than not, it hasn’t really sunk in that the person has a problem that they need to solve…Unless and until the alcoholic/addict comes to the conclusion, the belief, DEEP DOWN INSIDE that their lifestyle is just not worth it anymore, you’re wasting your breath. Posted from my cubicle in the library. Every day, thousands of folks wonder if they have a drinking problem. A Clinician friend of mine days “If it’s not a problem, it’s not a problem.” It’s a sign of strength to recognize when you’re fighting a losing battle. Please share this. Somebody might be wondering. 1. Have you ever awakened the morning after some drinking the night before and found that you could not remember part of the evening before? 2. Does your family ever worry or complain about your drinking? 3. Do friends or relatives think you are a normal drinker? 4. Are you always able to stop drinking when you want to? 5. Have you ever attended a meeting of Alcoholics Anonymous (AA)? 6. Have you gotten into fights when drinking? 7. Has drinking ever created problems with you and your family? 8. Has your family ever gone to anyone for help about your drinking? 9. Have you ever lost friends or relationships because of your drinking? 10. Have you ever gotten into trouble at work because of your drinking? 11. Have you ever lost a job because of drinking?